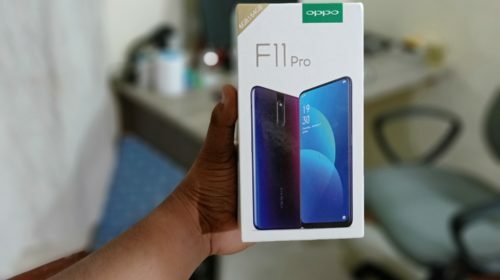 Oppo F11 Pro comes in a minimalistic box with the image of the smartphone covering the front portion of the box along with the branding. The specifications of the smartphone i.e., MediaTek Helio P70 Processor, 6GB RAM, 64GB storage and the usual stuff are mentioned in the box. 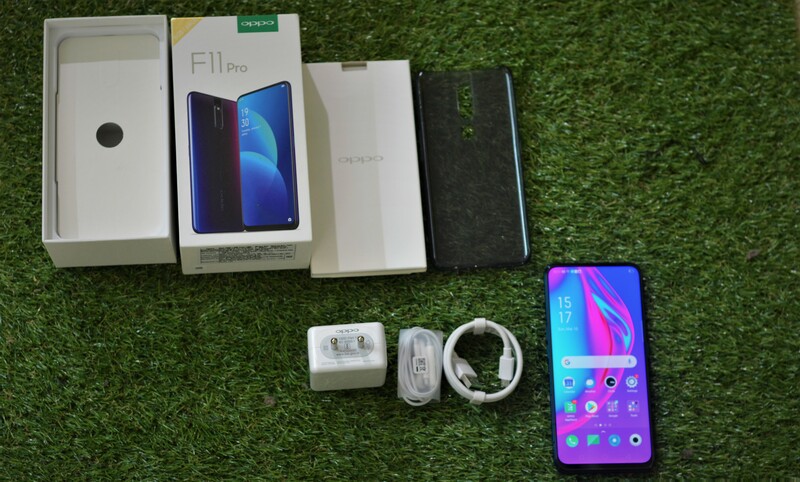 Upon opening up the box, you will find a small box holding the user manual, SIM ejector tool and a TPU case for Oppo F11 Pro. 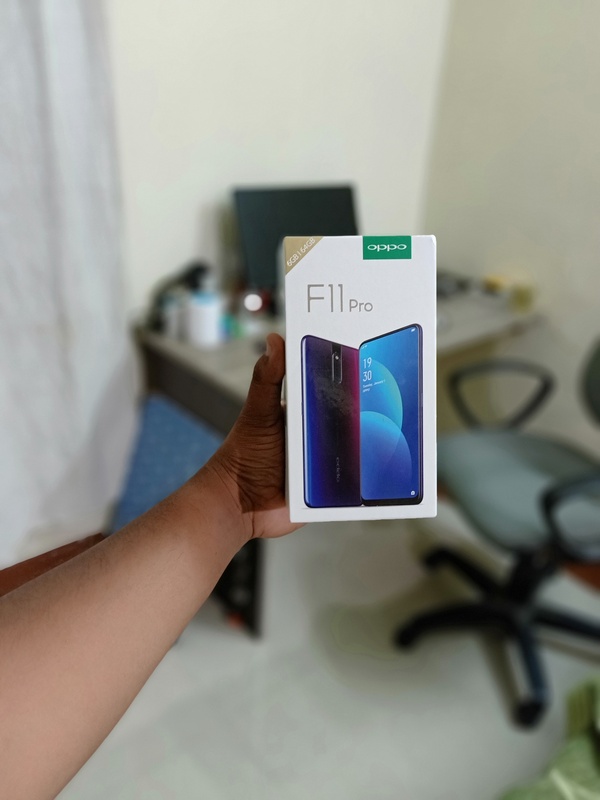 Beneath that, you will find the gorgeous Oppo F11 Pro smartphone itself wrapped in plastic. Then, you will find the Super VOOC 3.0 Fast Charger along with a Micro USB cable and Earphones. It is great to see Oppo bundling earphones in the box considering most Chinese manufacturers skipping it. That’s it for the box contents. Simple and minimalistic! 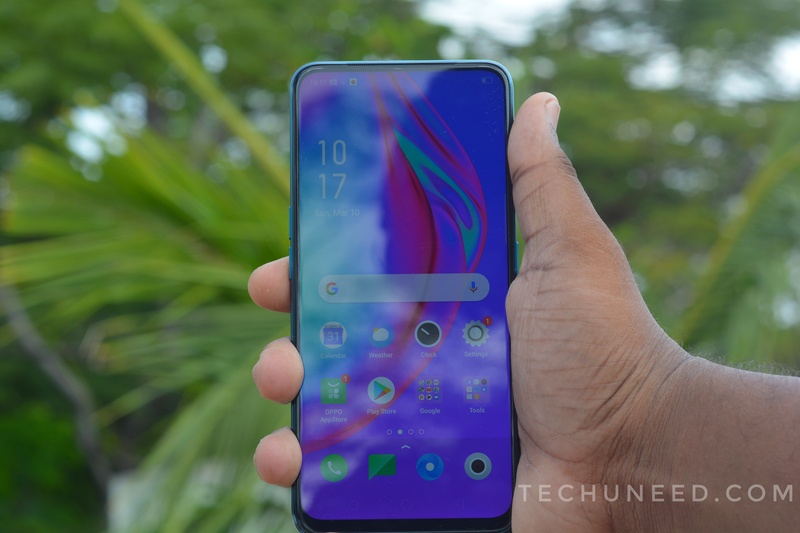 When it comes to the physical overview, the front of the Oppo F11 Pro is occupied by the massive 6.53″ FULL HD+ display with almost zero bezels. Yes, you read it right. 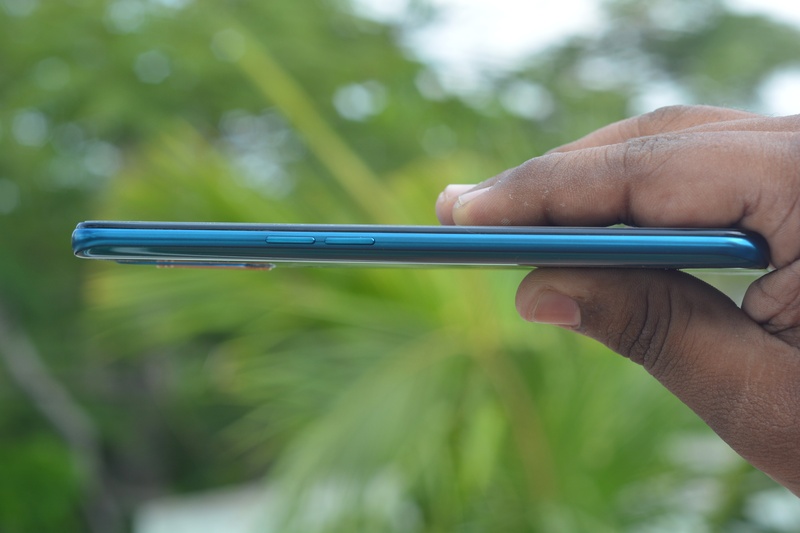 The bezels are very thin and narrow on all the sides and it looks gorgeous. To the right side, you will find the power button along with the Hybrid SIM card slot. To the left side, you will find the volume rockers button. 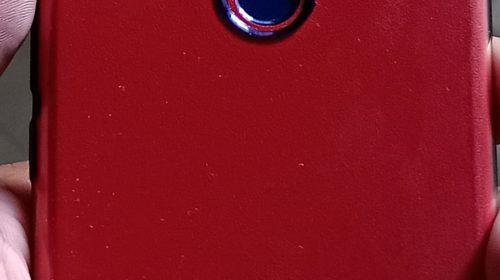 The bottom part of Oppo F11 Pro houses the 3.5mm jack(thankfully, Oppo hasn’t got rid of it yet! ), MicroUSB port(yes, in 2019), microphone and a speaker grill. 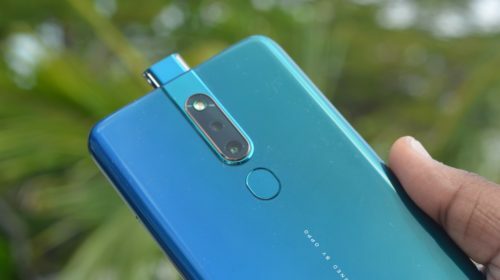 The rear of the smartphone houses the Dual Cameras and the front-facing camera is an elevating camera or a pop-up camera. Overall, the design is gorgeous and the build quality is solid. The smartphone feels premium to use with the glass and metal combination. 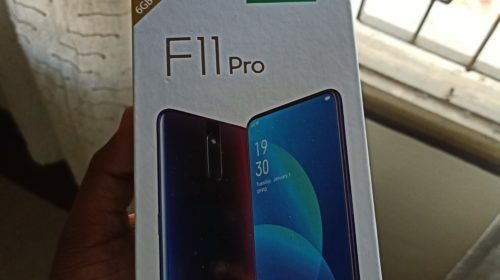 Oppo F11 Pro sports a massive 6.53″ 19.5:9 FULL HD+ display with a resolution of 1080 x 2340 pixels. The trend of smartphones with notch has been predominant recently. But there are people who hate the notch and want to enjoy the full viewing experience. 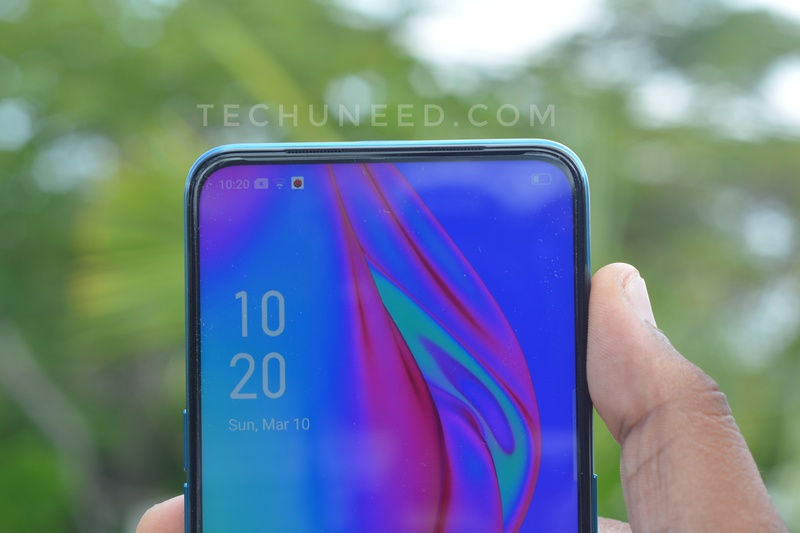 Oppo F11 Pro sports a no notch display with almost zero bezels all along. The bezels are very thin and narrow bringing the screen to body ratio at ~84.4%. The display looks stunning and has to be seen in person to experience what you are reading now. 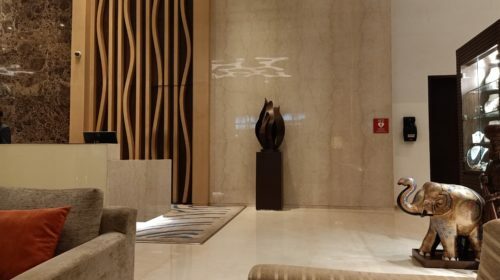 The quality of the panel used by Oppo is very good with great colours, vibrancy and good sunlight legibility. The multimedia experience should be immersive on this smartphone with the full view display and no hindrance of the notch. Overall, the display is very good on Oppo F11 Pro. Oppo F11 Pro is powered by MediaTek’s one of the powerful Helio P70 Processor. 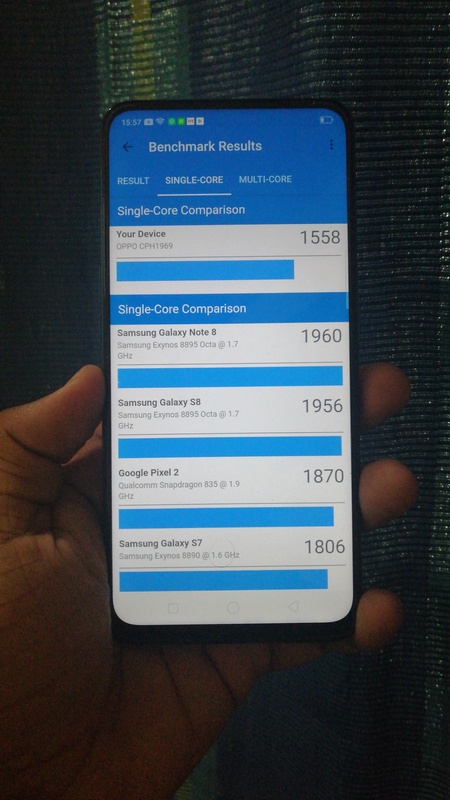 Helio P70 is an Octa-Core Processor with 4 Cortex A73 cores clocked at 2.1GHz and 4 cores Cortex A53 cores clocked at 2.0GHz. It is coupled with 6GB RAM and 128GB internal storage. The graphics duties are handled by Mali G72 MP3 GPU. MediaTek Helio P70 has been known for its raw performance along with AI capabilities and we have seen it in many smartphones in the past. 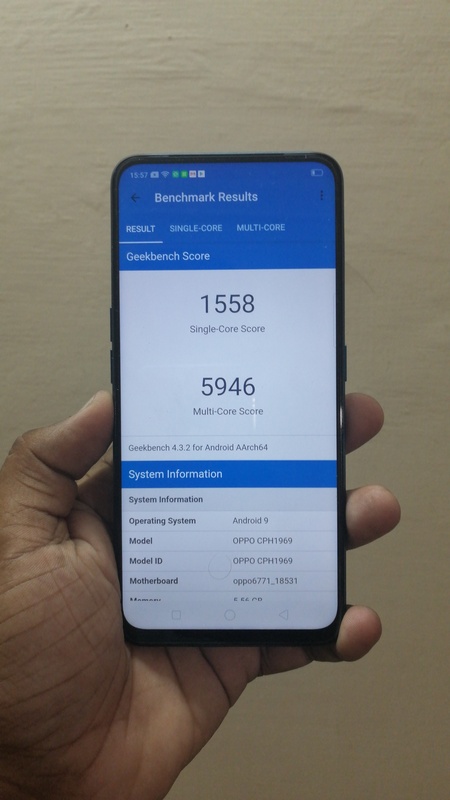 In the same lines, the CPU on Oppo F11 Pro performs brilliantly without any issues. Applications opened up and loaded quickly and we did not notice any lag or whatsoever on this smartphone. We tried heavy multitasking on this smartphone and the chipset handled it with ease. 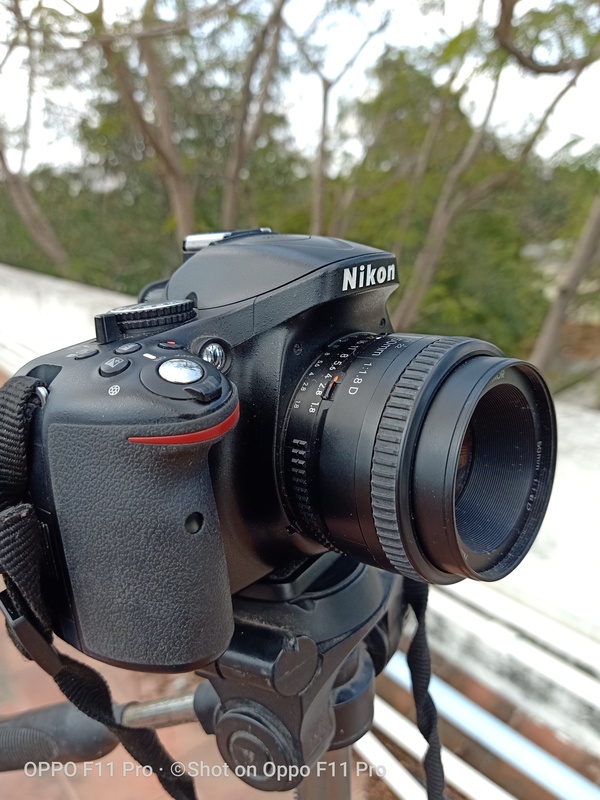 Thanks to the 6GB RAM and the processor, F11 Pro was able to handle tasks with ease. When it comes to the graphics performance, we tested it with games like Asphalt 9, PUBG and other casual games. Although the performance was good here too, we did notice a slight lag in PUBG gameplay and during heavy action in Asphalt 9 and Modern Combat 5. But the good thing is that the smartphone did not exhibit any signs of overheating. 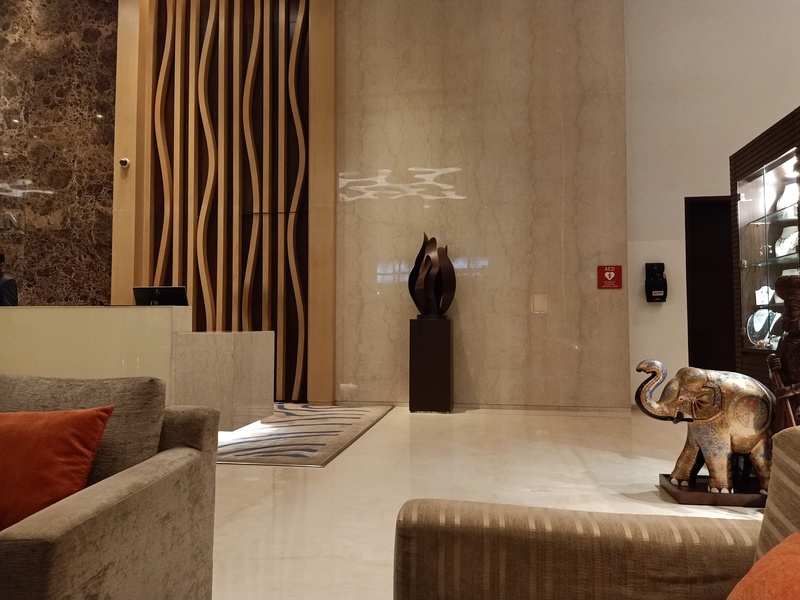 MediaTek Helio P70 on the Oppo F11 Pro also brings its AI capabilities in the camera department, UI etc. We will see more on that in the later part of this review. 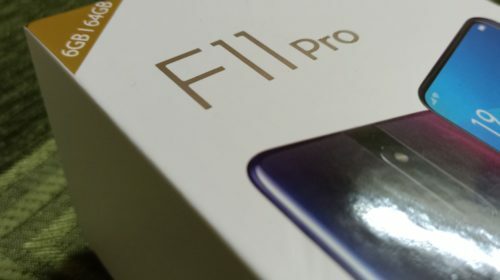 Overall, the performance was good without any issues on the all-new Oppo F11 Pro. 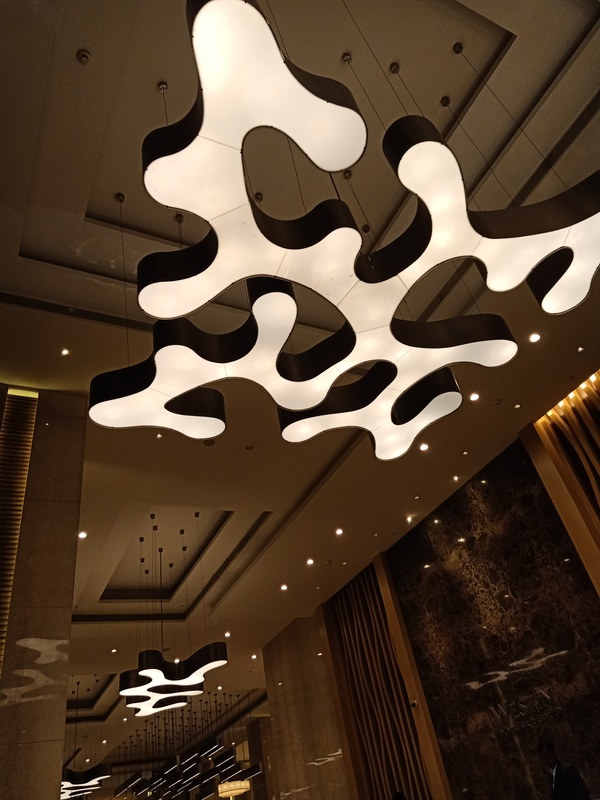 The highlight of Oppo F11 Pro are the cameras. 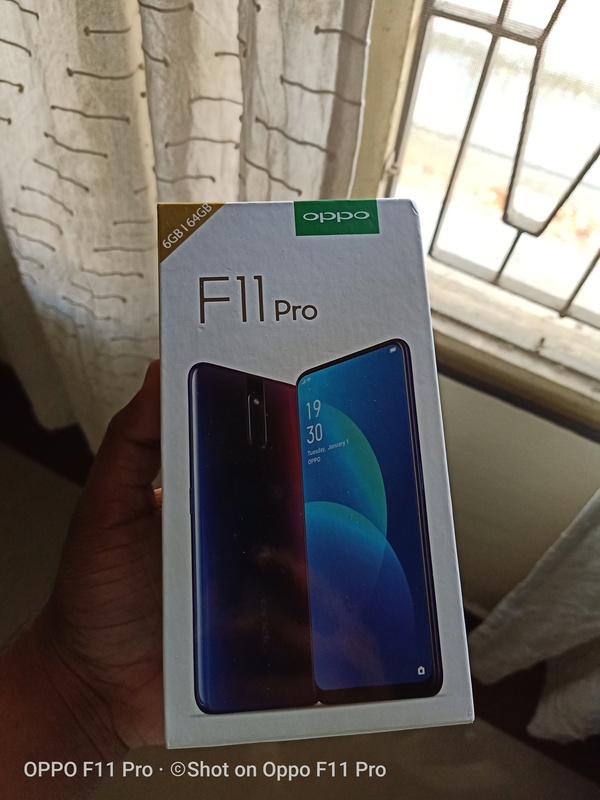 Oppo F11 Pro sports a Dual Rear camera and a front-facing elevating camera. The rear camera is a 48MP Sony IMX586 sensor with an aperture of f/1.79 and a large 1/2″ sensor size. The secondary camera is a 5MP depth sensor and the selfie camera is a 13MP elevating camera. 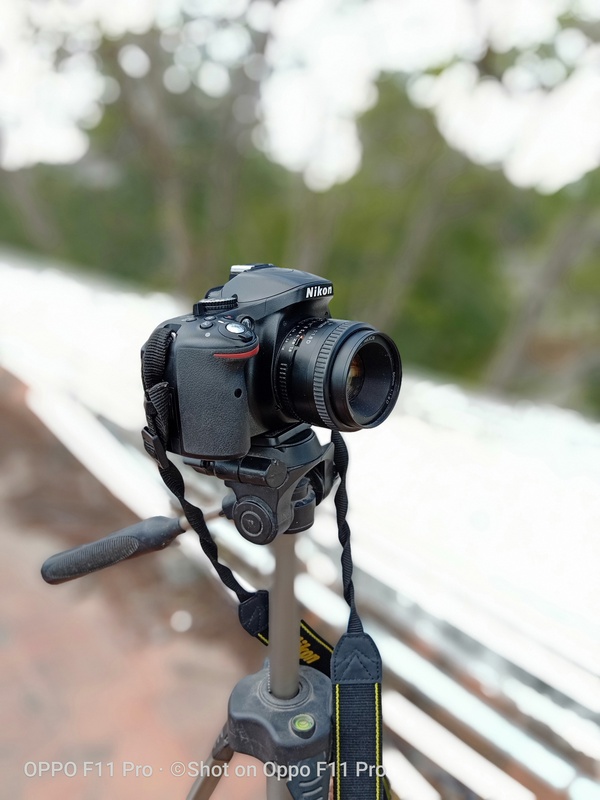 We got to spend limited time with the device and couldn’t test out the camera completely. 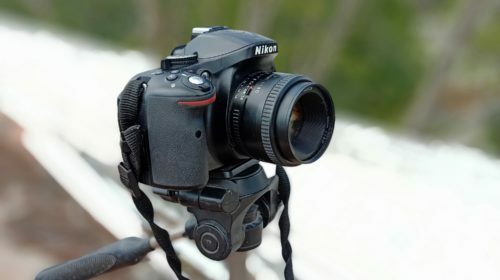 But in our initial testing, the pictures taken from the 48MP sensor came out great with good sharpness and detail. The pictures were vibrant and had lots of details. Thanks to the 48MP sensor. 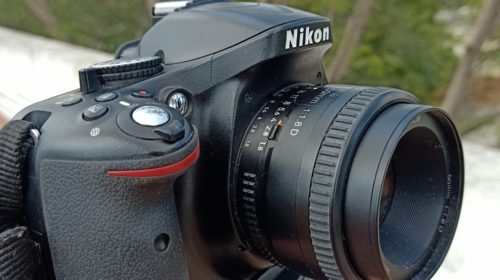 By default, the camera clicks pictures at 12MP and the 48MP mode has to be enabled from the settings. The pictures in low light came out quite good too with a decent amount of detail. 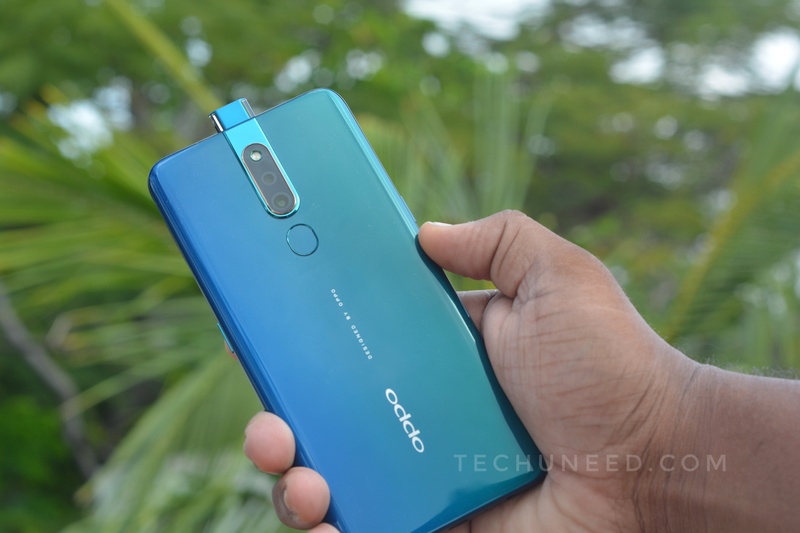 With regards to video recording, Oppo F11 Pro can shoot at 1080p FULL HD maximum and there is no support for 4K recording. The front-facing elevating camera captures some good selfies in daylight and artificial light too. 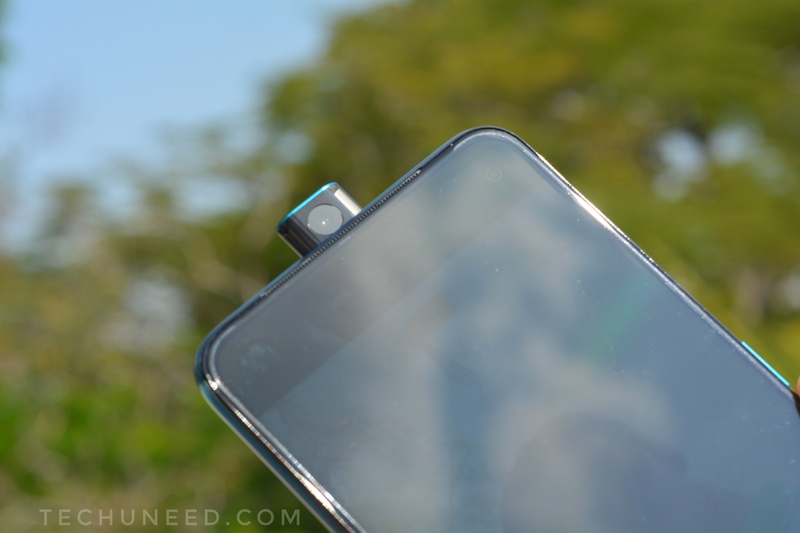 Oppo F11 Pro comes with a front-facing elevating camera. The speed of opening is quite decent and Oppo has also included some safety features for this camera. 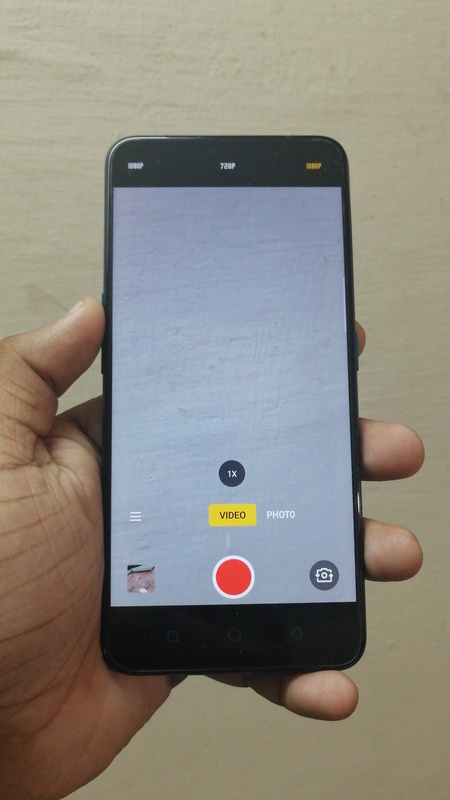 When a user tries to take a selfie and if the phone slips out of the user’s hands, then the safety mechanism on F11 Pro will automatically close the elevating/pop-up camera. 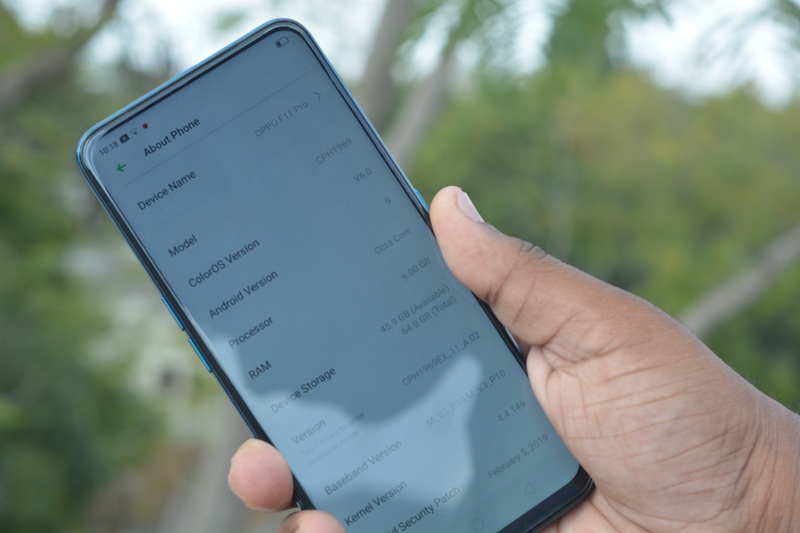 Oppo F11 Pro runs on Color OS 6 which is on top of Android 9 Pie. The UI feels mostly like iOS and it comes down to personal preference. The learning curve is high and some might prefer the UI and some might not. The notification area and quick tiles need some refinement and we wish Oppo works on the UI part more and refines it further. Hoping to see some improvement in the User Experience in the future. F11 Pro is backed up by a 4000mAh non-removable battery. It charges via a Micro USB port and we wished Oppo had gone with a Type C port considering the price at which the smartphone is selling. 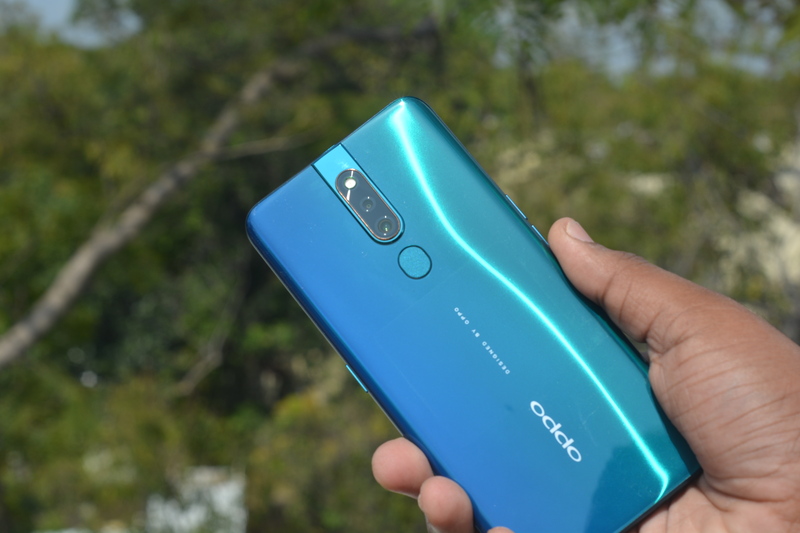 Nonetheless, it is coupled with Oppo’s proprietary Super VOOC 3.0 charging which charges the smartphone from 0-100% blazing fast. It is one of the fastest charging standards in the smartphone market currently. 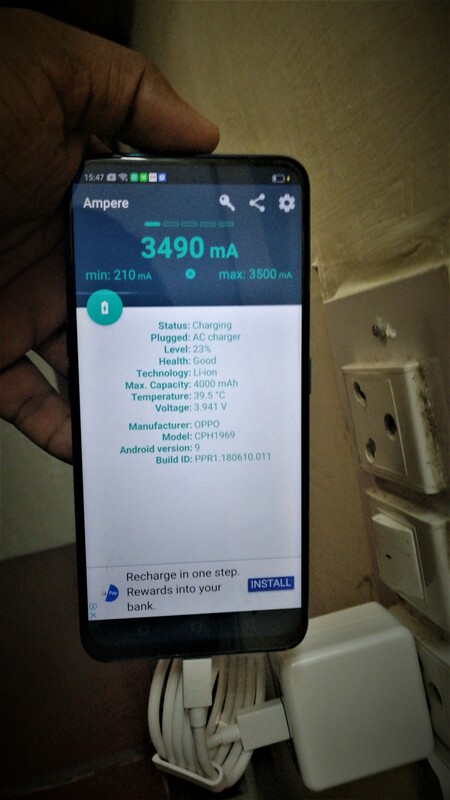 In our testing, the smartphone charged at 3850mA and was quick enough to charge completely. We could not test out the battery performance completely due to the limited time with the device. But considering the specifications on paper, it should be good enough. 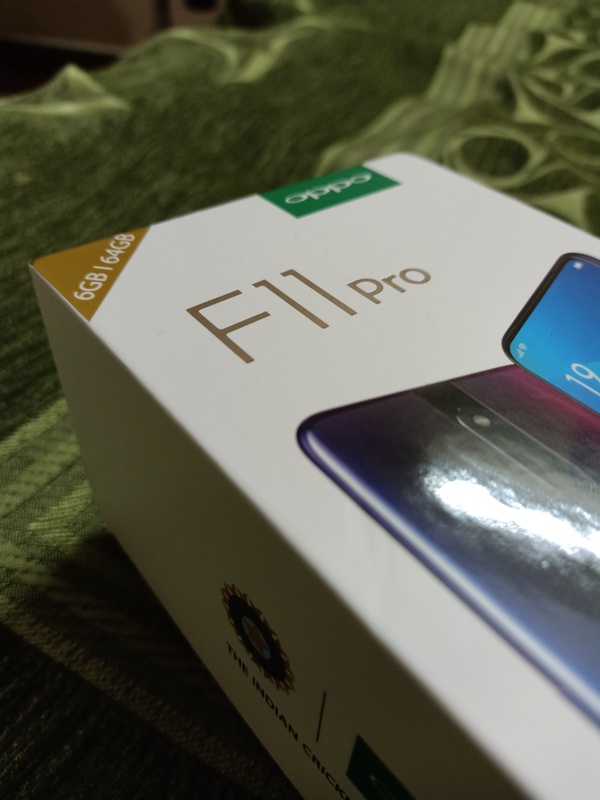 This was our quick Hands-On Review of Oppo F11 Pro. 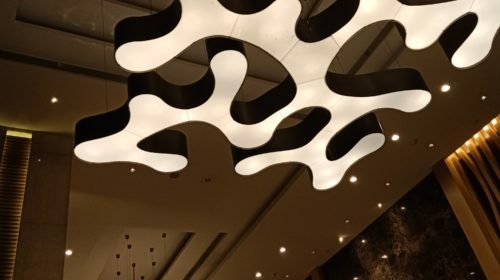 We hope you liked this article and we will come up with our full review soon.